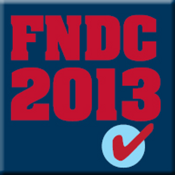 ExpoToGo is the official application for FNDC 2013. Customizable personal briefcase to add your favorite exhibitors and sessions. NearMe search browse for local shops,restaurants, and more with GPS support and direction assistance.